Manufacturer, Exporters & Suppliers of portable bottle, mason jars, amber jars or bottles, Water Bottle Light Bottle/ Cup Lemonade Bottle Portable Fruit Infuser Water Bottle/ Sports water bottle / BPA Free Fresh Fruit Infuser Fruits water bottle Juicer. Our company is ranked amongst the reputed names in the market for providing an extensive range of Fruit Infuser Water Bottle. 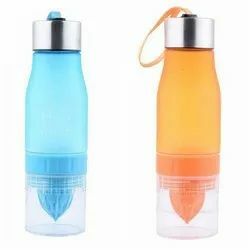 To furnish the ever growing desires of our customers, we have come up with Fruit Infuser Water Bottle. Drinking fruit-infused water is an easy way to enhance your water intake. Infused water is packed with flavour and provides many health benefits. Infused water can be a healthy combination of almost any fruit, vegetable or herb immersed in cold water. 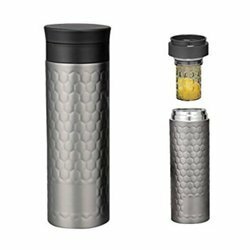 The InstaCuppa infusion bottle keeps your drink fresh for a long duration. It is an ideal accessory for exercise, gym or yoga schedules.